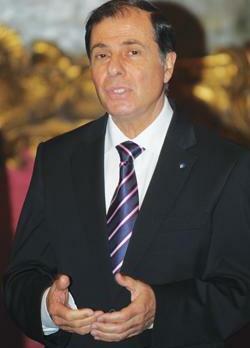 President George Abela has told The Australian newspaper that Malta supported the no-fly zone over Libya, and the “only criticism” was whether it was “timely enough”. The President’s comments, which mark a shift on Malta’s more cautious public pronouncements, were made during his visit to Australia. Dr Abela was also reported describing the no-fly zone as very effective – “it has eliminated Gaddafi’s air force,” he said. The interviewer, Greg Sheridan, then probed Malta’s handling of illegal immigration in general, drawing parallels with Australia, which faces similar migrant influxes by sea. Dr Abela was said to be optimistic that the Arab spring would bring democracy to the Middle East, solving the crippling problem of unregulated North African immigration to Europe.